Turville is the sort of place that gives the Chilterns a good name. The picturesque cluster of lovely period cottages is grouped around a tiny green, with a popular country pub on one side and the ancient parish church of St Mary's on the other. Above, on the hill overlooking the village, is a windmill that was used in the film version of Chitty Chitty Bang Bang. Of course, that has little to do with the church, but it does help give you an idea of how the church fits into its marvellous setting! 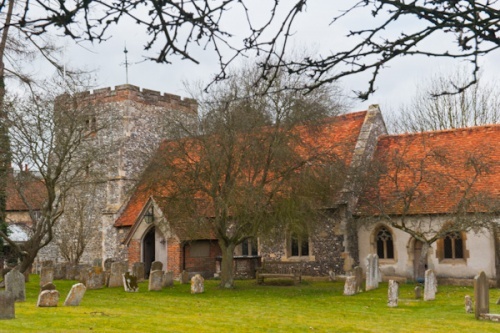 The first church in Turville dates from the 12th century, though it seems likely there was an earlier church on the site. 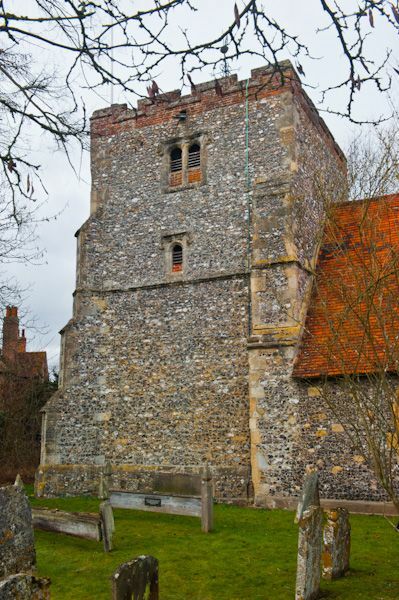 St Mary's built of flint, with a sturdy, squat west tower. The earliest part of the present building is the 12th-century nave, while the tower and chancel were part of a 14th-century rebuilding. 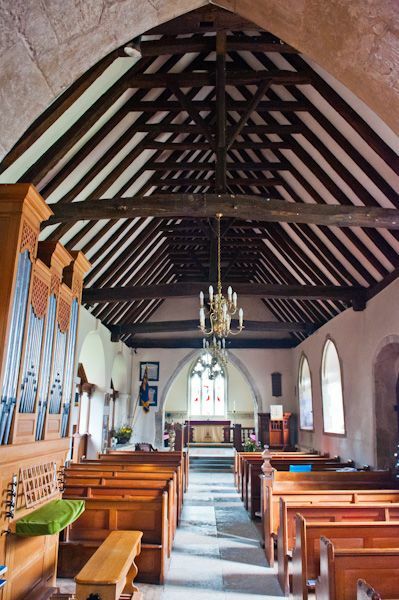 A further rebuilding in 1773 was needed to create space for an imposing pew for the Lord of Manor, William Perry. 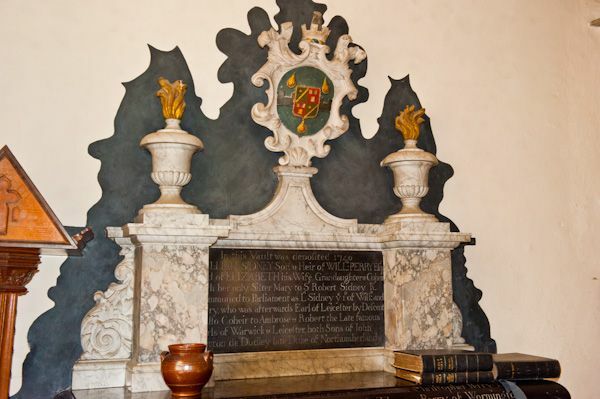 Perry was the great-grandfather of poet Percy Bysshe Shelley, and his marble memorial in the north aisle is probably the most impressive interior feature of the church. 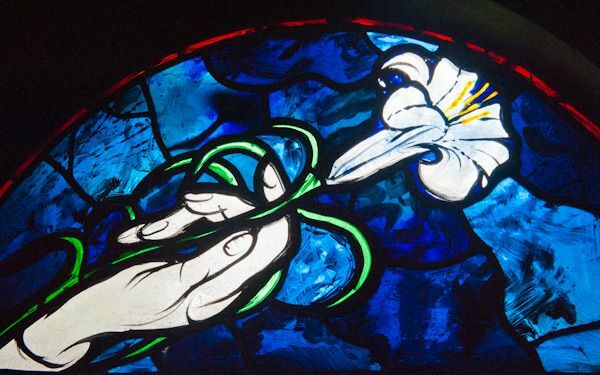 A much more modern feature is a very striking stained glass window built in 1972 to commemorate the closing of St Saviour's church in nearby Turville Heath. 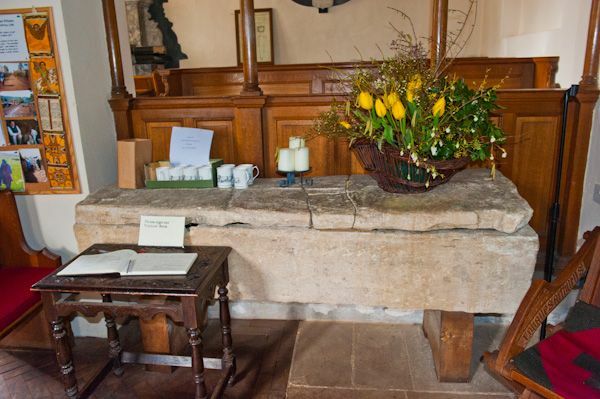 Standing in front of the north aisle is a large stone coffin, thought to have been used as an ossuary when the churchyard was too full to allow further burials. When the coffin was unearthed in 1901 during restoration work two skeletons were found within it. One of the skeletons dated to the 16th century and had a hole in its skull, suggesting that the deceased was a murder victim. 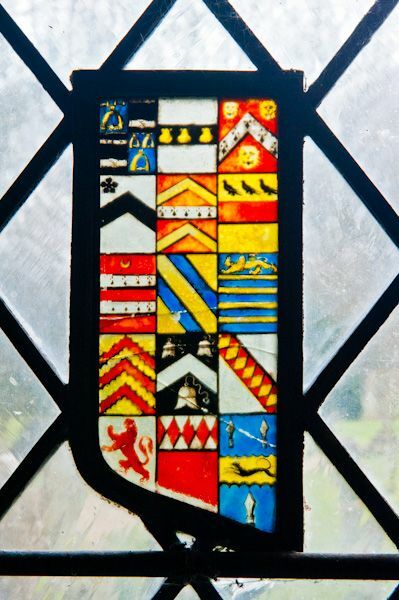 On a lighter note; set into a window in the south wall, near the door is part of a Tudor coat of arms crafted in stained glass. 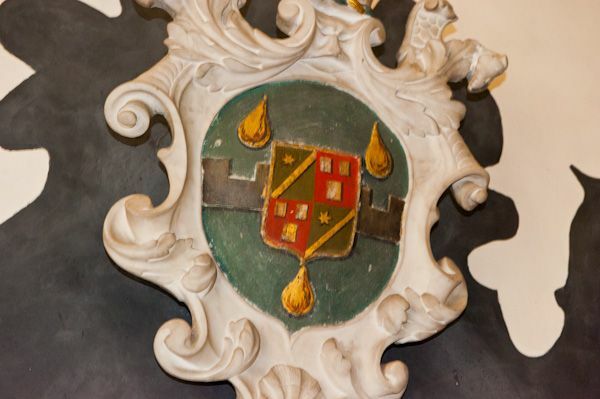 It shows the 'sinister' side of a family crest suggesting a daughter of the Duke of Burgundy, either Anne, who married John of Bedford, or Margaret, wife of the Emperor Maximillian. 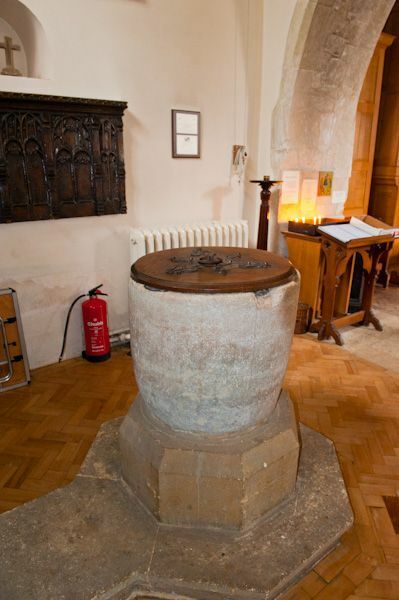 Given its location in a Bedfordshire church, the former seems the more likely possibility, but you never know! 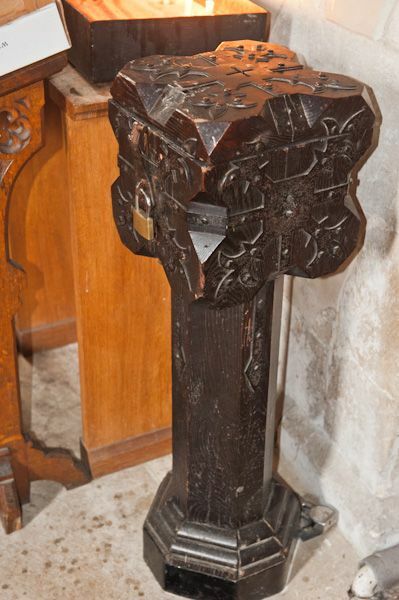 A final interior feature is a solid wooden poor box set upon a pedestal against the north wall of the nave, near the west end. 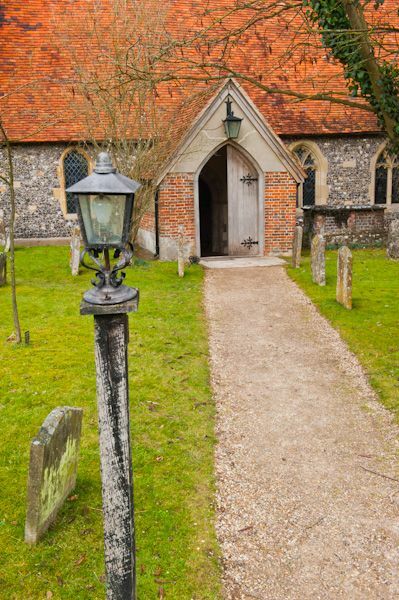 Outside the church, look for three 'dead boards', planks set upon upright posts, used as a cheaper alternative to tombstones. Location: In the centre of the village, off the village green. On street parking. Usually open daylight hours.